With the summer holidays fast approaching, we're now under seven weeks away from Walsingham 2018! That's right, it's time to get thinking festival again! 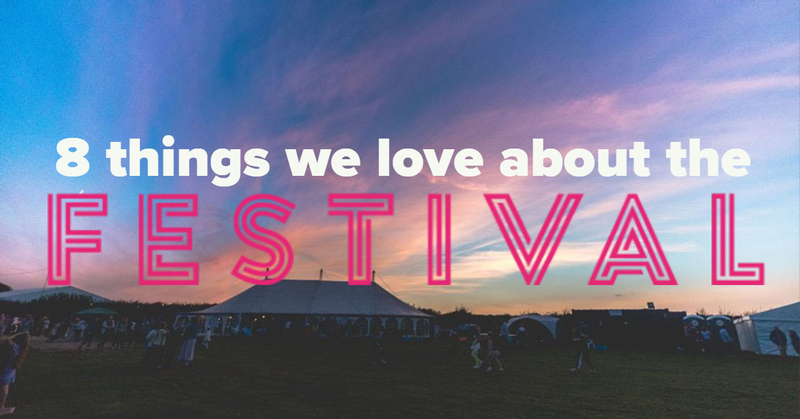 Here's a quick run through of just a few of our favourite things. It's also great to see so many families! We're developing our family spaces and programme building on last years' to cater to families even more. 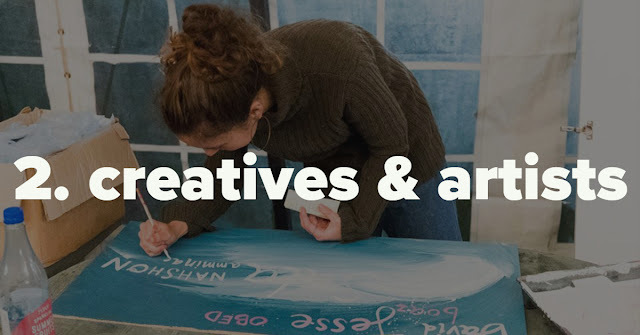 Last year we wanted to really embrace the artsy side of making a festival and were super impressed by the artists that assembled to cover the site in colour and life! From signs to bunting and from flags to paints, our team of young artists really but in the work to make the festival look better than it ever has. If you've got an artistic side, why not get involved with our art squad? Is there anything better than a really great talk? Like one of those really good ones that gives you a new perspective on something you've always wondered about? Well, we've got a line up for the 2018 festival that could compete with TED. We've already announced Adam Fuselier, Director of Mission & Outreach at 'Dumb Ox Ministries', who's coming over from the states just for us! We'll be dropping the rest of our line up over the next few weeks and we're so excited to share them with you. 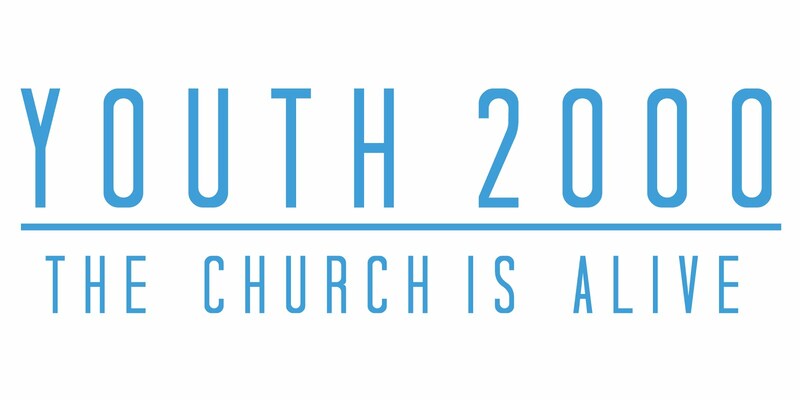 A big part of the Youth 2000 community is worship, the communal expression of our thanks to God. 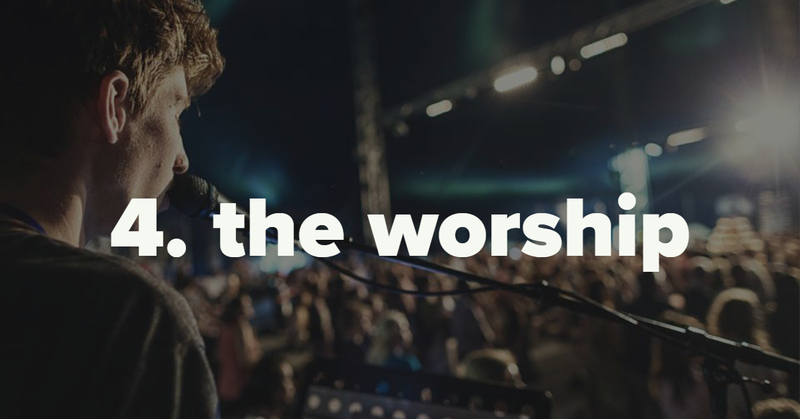 We love how the focus of our worship is always God, and that over the five days of our festival we get to go deeper and deeper into prayer and praise together. Over the many years of the festival, we have always been blessed with young worship leaders and with new songs that united us, whether in our morning worship or when we go late into the night in thanks for the day. We love seeing young people entering into silence when the music has ended too, continuing their worship in their own private prayer. 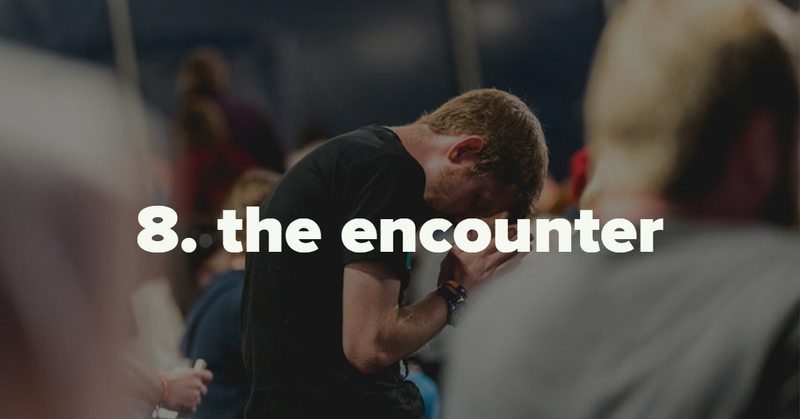 The worship always creates the atmosphere of the festival and the Holy Spirit never fails to dwell with us in it. 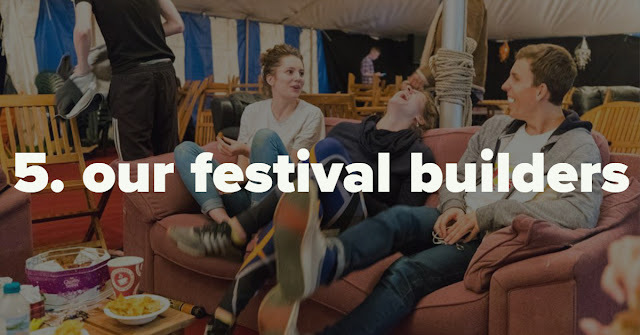 Where would we be without our ever expanding team of #FestivalBuilders? We love that our festival is built by young people for young people. These guys are so generous with their time and bold in their vision and for so many it is their way of giving back to the community that brought their faith to life. If you want to find out how you can give to the festival with your skills, why not ping us a message? That's right - the cafe tent returns! 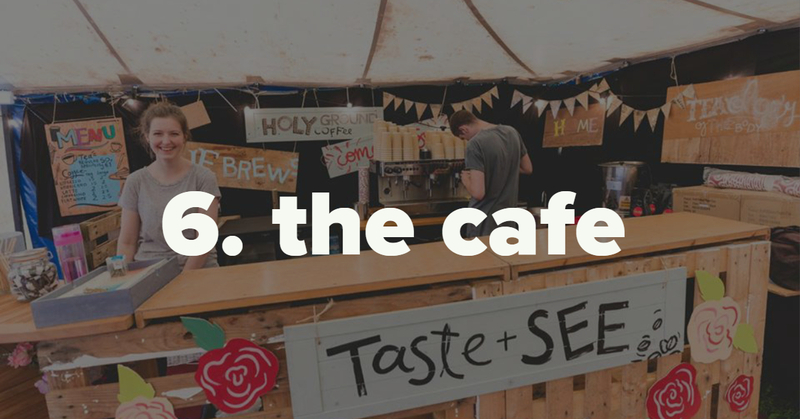 Last year was the premier of the cafe tent and boy was it a hit! With its multitude of sofas and fine furnishings, its incredible barista team and their sweet blends, the cafe tent is the ultimate chill space. With no official closing time, we loved seeing the conversations going deep into the night. The open mic was also a big hit with endless talented individuals stepping up to the mic every night. 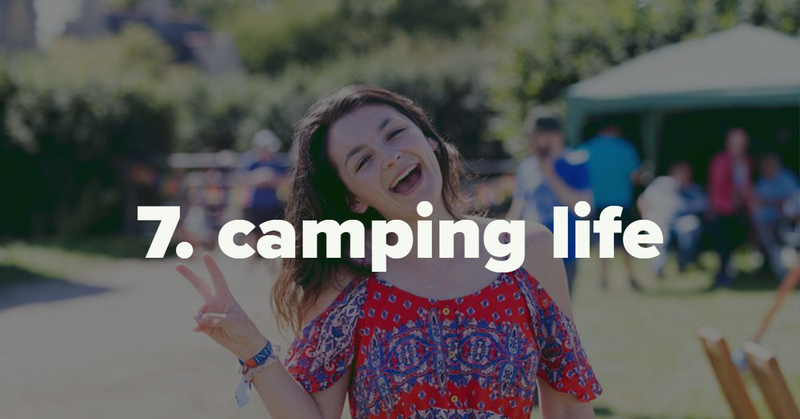 Is it even a festival if you're not camping? There's nothing like waking up to the sun shining through your tent and hearing the birds and your fellow campers outside. There's also the whole mud and wellies of the classic Glasto experience to take in to account but we've had some glorious weather over the last few years and this year is looking like its going to continue our streak of blessed bank holiday weekends! 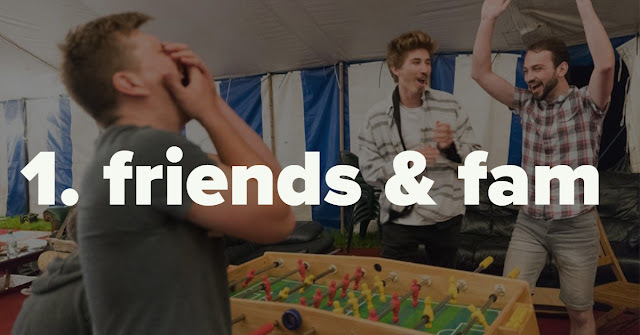 Ultimately, we build our festival, our community and our friendships around the source of it all: Jesus. Everything we build is to create the opportunity for young people to encounter Jesus as a real person that they can journey with for the rest of their lives. Every year we see this happen and we watch young people come alive to this reality for the first time. We would love for you to be there, for your friends to be there and for more and more people to have the opportunity of getting to know him. 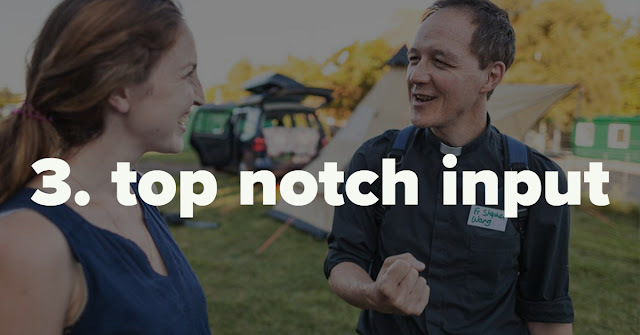 That's what we're all about, and that's why we're building this festival.